I think it’s time for another Book Tag. I haven’t done one for a while, so I’m looking forward to this. I haven’t been tagged, but spotted this over at not-so-modern girl and thought I’d give it a try. So, let’s get started…. Sleeping Beauties by Stephen King and Owen King. This was always one I was going to want to read. I usually enjoy a Stephen King novel so always look out for his latest offerings. I had this on my wish list way before the cover reveal, but such a gorgeous cover is definitely a bonus! The Inn Boonsboro series by Nora Roberts. I doubt I would ever have picked up this series, but someone who’d just finished the first book (The Next Always) told me how much she had enjoyed it. She really sold it to me so I decided to give it a try. I ended up reading all three almost back to back. It was just something very different from my usual reading tastes and I think that was probably why I enjoyed it so much. Harry Potter and the Half Blood Prince. I bought this based on already having read the rest of the series. I discovered the series in the first place via the first movie. I remember going to see it at the cinema and really wanting to read the book as well. The rest is history. Someone recommended the Black Magician trilogy by Trudi Canavan. I thought the first book, The Magicians’ Guild, took a while to get going, but once it did I really enjoyed it and am reading the final book of the trilogy at the moment. I saw Caraval by Stephanie Garber literally everywhere and it sounded so intriguing. I think I may have become a little over-hyped though and didn’t end up enjoying the novel quite as much as I thought I would. Carnivalesque by Neil Jordan. Okay, I admit, initially it was the cover that drew me to this book, all blue and gold with stars, it just drew my eye. But the story, of a young boy who goes to a carnival and ends up trapped inside a mirror sounds like it might be good. Cell by Stephen King. I’m trying to read as many Stephen King books as I can anyway, but this particular title came to my attention after I watched the recent movie version. I enjoyed the movie but I didn’t like the ending and wanted to see whether the book came to a less grim conclusion. I won’t spoil anything here, I’ll just say that I definitely preferred the ending of the book. A Song of Ice and Fire by George R. R. Martin – I gave Game of Thrones a try previously, but didn’t think it was something I would get into, all those strange character and place names, and I hadn’t read much in the way of fantasy at that point, so I put it aside. Then I saw that it was going to become a tv series and something about it caught my imagination again, so I had another attempt to read the first book. I have no idea why it seemed so different second time around but I became totally hooked. If you feel like having a go at this then you’re tagged. Have you read any of the books I chose this time? If so, what did you think? Book Tag time! I do like a good book tag. I wasn’t actually tagged for this one but I spotted it over at Cristina’s blog, My Tiny Obsessions, and thought I’d give it a try. Here goes with… The Bookish Book Lover Tag. I’ve also just started Fever by Deon Meyer. This last is a new-to-me author and so far it’s great. The Magicians’ Guild by Trudi Canavan. All these deserve a mention. I’ve read quite a few Fantasy and Post-Apocalyptic themed books so far this year. I do like a bit of variety in my reading. Maybe a little more Historical, and possibly some Non-fiction. I set myself a really low Goodreads target this year, only 20 books. I can’t stop picking up absolutely MASSIVE books, so having a higher target just seems a bit impossible. I think I’ve read 17 books so far, so hopefully I’ll meet my very small target and even manage to read a few more books too. I think I bought Feed by Mira Grant and two of the Mistborn books by Brandon Sanderson at the same time. I may buy a new copy of IT by Stephen King when they re-release it with the movie tie-in cover. Maybe. I do already have it on my e-reader and it’s such a massive book that the convenience of the e-reader is a great bonus, but sometimes you just have to have that book, don’t you? Ooo, don’t make me answer this one. I’m a MASSIVE fan of the library – all those brilliant brand new books and because they have to be returned storage space isn’t a issue. Libraries are wonderful. Being such a fan I’ll confess that right now I have well over 20 books checked out. It’s amazing that I manage to keep track of them all. I have no idea when I think I’m going to find time to read all these books and some of them will probably have to go back when other people request them, but I just can’t resist FREE BOOKS! Sleeping Beauties by Stephen King and Owen King. I saw the cover reveal for this not long ago and it’s such a gorgeous cover. Not that I’m judging the book by it’s cover; I’d already decided I would definitely be reading it well before I saw the cover. A Song of Ice and Fire by George R. R. Martin, and of course Harry Potter by J. K. Rowling, but I guess most people have already read that one. Sarah Perry, Sarah Waters and Sarah Schmidt, and I promise it’s a total coincidence that this answer only contains authors called Sarah. I don’t know of anything coming up but certain events in The Autumn Republic by Brian McClellan made me a little sad. It was a great series though. So many that I started a new Goodreads shelf dedicated to books being released in the near future so that I don’t forget any of them. Did you enjoy the Bookish Book Lover Tag? Have you read any of the books I chose this time? As always, if you’ve not done the tag and feel like trying it, then consider yourself tagged. It’s that time again. Yes, here’s my latest Book Tag. Just entering July it seems a fitting time to have a go at a tag I’ve seen around a lot lately, so here’s The Mid-Year Freak Out Book Tag! I’ve only read one sequel, and I’ve already used The Autumn Republic by Brian McClellan as at least one of my answers (it may appear even more), so am going to go with prequel instead and mention The Boy on the Bridge by M. R. Carey. It’s one of my favourite recent reads, and revisits a world I loved first time around in The Girl with all the Gifts, so of course it had to make an appearance somewhere within this post. Red Sister by Mark Lawrence. I’ve seen so many great reviews for this book that I really must get on and read it soon. Sleeping Beauties by Stephen King and Owen King. This is mostly based on the author, I have to admit. I’ll always want to read the latest offering from Stephen King. None of the books I’ve read have been a real disappointment so far this year – I’ve been lucky with my reading choices. I haven’t even had anything I’ve been slightly tempted to DNF. The Muse by Jessie Burton. I was really engrossed in the lives of those characters and finding out if and how the two timelines would come together in the end. Sarah Schmidt. See What I Have Done was such an atmospheric read, the writing was great. The Aeronaut’s Windlass was my first Jim Butcher novel and I enjoyed that as well (may have had something to do with the talking cats!). Some of the guys from North and South by John Jakes are pretty crush-worthy. Ben Styke from Sins of Empire is a great character. He reminds me a little of Jean Valjean from Les Miserables. I also liked Vlora from the same book. It was nice to have her as a main viewpoint after her appearance as a secondary character in the Powder Mage trilogy. The Autumn Republic by Brian McClellan. It was the final book in the Powder Mage trilogy and I was sad to reach the end of the story for certain characters, having spent so long with them throughout previous books. I’ve just started my Harry Potter re-read and revisiting that series is going to make me pretty happy I would imagine, although I guess that can’t be said for later books. There’s just something comforting about going back to a series that you’ve read before though, and I’m only just realising that as I don’t re-read very often. I can’t think of anything that was released in 2017 but I did enjoy the movie version of The Girl with all the Gifts. I thought they did a good job in bringing a great story to life on the screen. The cover of The Trees by Ali Smith is one of the most striking I’ve seen so far this year. The Ninth Rain by Jen Williams. I’m still waiting for the library to get this in stock. There are so many other books I could mention here, including the rest of the Harry Potter series, but I’ll leave it at just the two or we’ll be here all day! And that’s the end of The Mid-Year Freak Out Book Tag. See What I Have Done by Sarah Schmidt. It’s based on the real life case of a double murder. Lizzie Borden was accused and put on trial for the murders of her father and stepmother. I’d not actually heard about the case, but looked up some info once I started reading the book. The way the author weaves fact and her own imagined elements into this makes it an intriguing tale. It’s also fascinating in that it’s still an unsolved crime as Lizzie Borden was acquitted so the story offered up here is pretty plausible. The writing was great too. The Boy on the Bridge by M. R. Carey. Did you get around to reading The Girl With All The Gifts? Well, this book is set in the same bleak world. I loved that book, and have been looking forward to returning to Carey’s country decimated by a fungal pathogen. I can tell it’s going to be a good story, and I can’t wait to see what befalls the 12 soldiers and scientists travelling aboard the Rosalind Franklin as they search for a way to stop the plague. There are a few books I’ve been looking at recently. This week’s Top Ten Tuesday also covers a few more of the books I hope to read very soon. Yes I do. I always find that when I start looking at a review I scan through to find the star rating, just to see what the reviewer’s overall opinion was before I start reading the review. I’ll still read the review as well, but it’s a good at-a-glance indicator so because I look for it in other reviews I do use it myself. Yes. I’ve set myself a low target this year, 20 books. I keep picking up all these really long books, which I love, so there didn’t seem much point in setting a high target because I find I’m conscious of the number and the fact that I’m no where near reaching it, which can take away from the enjoyment of reading. I don’t want to feel like I need to race through a book just because I’ve set myself a reading goal. I’m not the fastest reader in the world, and sometimes I get so drawn in to a tale that I don’t even want to reach the end. Of course! It’s endless. And it keeps changing, but two things I would definitely like are a complete boxset of the Dark Tower series by Stephen King and a matching Song of Ice and Fire set by George R. R. Martin once the series is complete. Stephen King, George R. R. Martin, Sarah Waters. 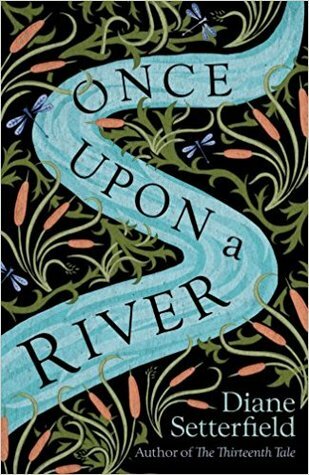 Recently I’ve also really enjoyed books by Sarah Perry and M. R. Carey, so I would look out for new books by them too. Not that I’ve been especially active in unfortunately. In theory I’d quite like to be in a group, but my reading tastes vary quite a lot, and I’m terrible for getting distracted by brand new books. If these come from the library they usually have to go right to the top of by TBR as they have to go back, so I don’t think trying to read certain books at certain times would suit me at the moment. I always regret this though when I’ve read something awesome and really wish that someone else had been reading it at the same time, to relive those OMG moments. I have the usual, then I have one for each year’s reading progress. I have a couple of TBR lists but I don’t really keep them updated or use them properly. I really should go through and delete a few things and try and get a little more organised but doing that would mean less time for reading, and the book will always win when time is short. As usual, anyone who wants to do this! The Autumn Republic by Brian McClellan, in the best possible way. I’ve just finished reading this and I didn’t want it to end. It’s the final book in a trilogy and a really great conclusion. Definitely a series worth reading. The Paying Guests by Sarah Waters. Golden Hill by Francis Spufford. Carys from Hold Back the Stars by Katie Khan is probably the most scientifically minded character I’ve read about recently as she tried to figure out ways to save herself and Max as they were adrift in space and running out of air. Evie O’Neill from The Diviners by Libba Bray. Severus Snape from the Harry Potter series. The Stark girls from A Song of Ice and Fire – I love Arya’s bravery and strength, and Sansa’s whole progression from innocent little girl who believes in songs and stories into a strong-minded young woman is great. Claire from Outlander – I’ve only read the first book so far but I love her strength and the way she deals with the situation she ends up in. Newt Scamander from Fantastic Beasts and Where to Find Them. I watched this for the first time recently and Newt instantly became a new favourite. What’s not to like about him and his case of fantastic creatures? Daryl and Carol from The Walking Dead. James Delaney from Taboo. I finished watching this recently. Delaney is terrifying at times, and pretty dark, but so so watchable. Jane Eyre and Mr Rochester. I love their story so much. I also really like Margaret Hale and John Thornton from North and South. I love the way they clash so often and have so many misunderstandings before they finally get together. And for something a little more recent I like Claire and Jamie from Outlander. They’re a great team and I’m looking forward to reading more of their adventures. Book – The Shadow of the Wind by Carlos Ruiz Zafon. Programme – The Killing, Borgen and The Bridge are all pretty good. So many times I’ve gone into the bookstore and wonderfully eye-catching covers, or the sight of a particular author’s name has drawn me over to a certain book, eager to read the blurb and find out more, so I’d say covers definitely influence my choices when I’m out and about and generally looking around at books, but judging the book by the cover, probably not altogether, unless it’s one of those books with a really vague synopsis, then you don’t have much else to go on, and the cover can go some way to either hooking your interest or not. Golden Hill by Francis Spufford features 18th century New York. Having seen all the publicity for Caraval for what seemed like AGES before the book came out I was SUPER hyped to get my hands on it. I literally couldn’t wait for the day. Inevitably I ended up a little bit too hyped. I enjoyed the book, but not as much as I was expecting to. I can’t help but choose Westeros, especially Winterfell. Dorne sounds amazing but would probably be too hot, so it’s North for me. I’d also like to go to the Scottish Highlands of Outlander. So there’s my School Subjects Tag. The Essex Serpent by Sarah Perry. The cover is beautiful, and I’ve recently seen a different edition with shades of blue on the cover which looks lovely too. The story is very character driven and I really liked the writing as well. Harry Potter and the Cursed Child – I imagine this is an amazing spectacle seen live on stage but somehow I just couldn’t seem to get into it in script form. I’m certain I mentioned the Jeeves books by P. G. Wodehouse last time I completed this tag but they really do have some great humour, so they’re making a reappearance this time too. To the Bright Edge of the World by Eowyn Ivey. It follows a journey upriver into the wilds of Alaska and is told in a really vivid way. The landscape sounds wild and beautiful, and the sense of adventure made this a great read. Hold Back the Stars by Katie Khan. Carys and Max are in a really desperate situation, stranded in space with 90 minutes until their air supply runs out and I just had to keep reading to find out whether they would both survive and how they would be saved. I had no idea how it was all going to play out. Hm, I can’t think of anything, mainly because these days I’m getting better at putting books down if I’m not enjoying them, but also I‘ve had a really good reading run of late. For some reason I used to plough on with books even when I wasn’t enjoying them, with the idea that I’d started it so I might as well finish it. With such a massive TBR pile I don’t do that so much any more. So far this year I’ve enjoyed everything I’ve picked up. In general I don’t seem to go for many crime novels. I don’t mind watching a crime series on tv but I never seem to like the books as much. Christmas Under the Stars by Karen Swan was just a lovely story. Sins of Empire by Brian McClellan. I’m reading the final Powder Mage book at the moment and cannot wait to start the latest offering from this author. Red Sister by Mark Lawrence also sounds really good, so I’m hoping to pick that up some time as well. I could add an endless amount of books here but will leave it at those two for now. I ended up really liking both Jamie and Claire from Outlander. And I have a whole series of huge books in which to follow their further adventures. Can’t wait! I guess anything I would choose to re-read. There’s something comforting in revisiting familiar characters and stories, and even though you mostly know what’s going to happen there’s always something new to find. Golden Hill by Francis Spufford. The writing is great and brings the world of New York in it’s infancy to life really well. There are some intriguing characters and a great mystery at the heart of the story. There were a few moments in Golden Hill by Francis Spufford when I found myself smiling. I think it’s about time for another book tag! Cristina @ My Tiny Obsessions tagged me for The Anonymous Bookaholics Tag, thank you! Everything! I love walking into the bookstore and having so many new books tempting me, and looking for the most striking covers, reading blurbs on the back of books, ending up wanting about 5 new books and having to decide which one I’ll choose on that particular day and which will go onto my wish list. Everything about book shopping is fantastic. Apart from wondering where on earth I’m going to find space to store the new books I’ve bought. Due to space issues I don’t tend to buy that many physical books these days, even though I do love a good wander around a bookstore. I do buy quite a few ebooks. Because of all the things I listed in my first answer I have to say bookstore browsing wins it for me. I usually leave the bookstore with many ideas for books I want to read because they have such wonderful displays and I find things I might otherwise have missed. Not really. The local bookshop I used to enjoy visiting closed down last year which was a great shame as it was a really nice place. Not at the moment because I use the library A LOT. There are only so many shelves and bookcases you can find room for before you know you’ve reached your limit, and I think I reached mine a LONG time ago, so the library is absolutely brilliant for me. That hasn’t managed to stop me from requesting a decent number of brand new books from the library, so I imagine I would fail at a buying ban in the same way I’m failing at a (sort of) book requesting ban. I think I lost control of that a long time ago. I would love a boxset of The Dark Tower by Stephen King. I have all the books on my e-reader and would love a complete matching set. I have NO idea where I would keep this set, but for this series that wouldn’t matter. I saw a beautiful new hardback edition of Jane Eyre which I would love to own. I’d also like a matching set of A Song of Ice and Fire by George R. R. Martin.